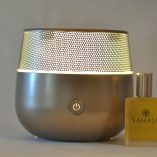 MYSTO Ultrasonic Diffuser is a classic and modern design with mesh detailing through which mesmerizing lights shine. 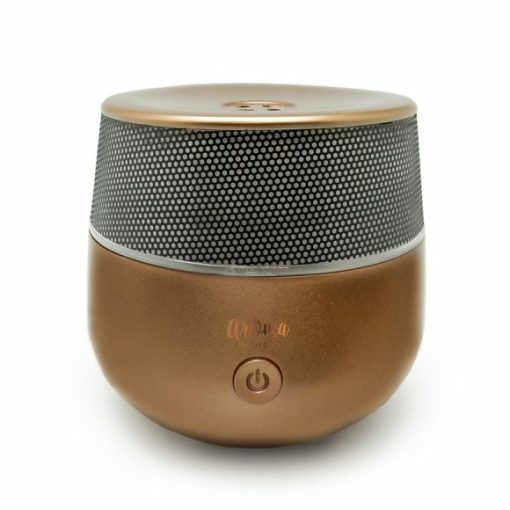 MYSTO has three illumination options of bright light, warm, meditative light and no light. 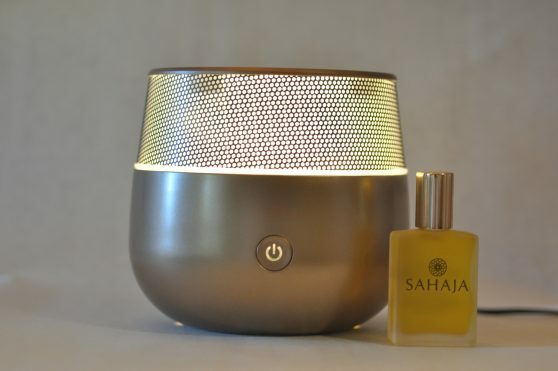 It diffuses continuously for 4-5 hours or intermittently for 10 hours, omitting a fragrant essential oil mist that purifies the air and creates humidity making it easier to breathe. 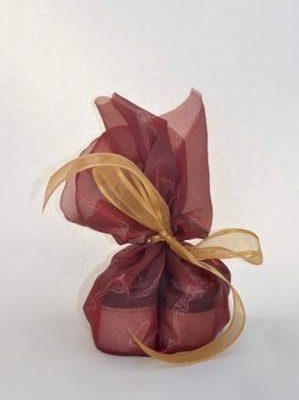 MYSTO is plastic (though it looks like bronze) which may be preferable in bathrooms or areas where there is a lot of activity. MYSTO is simple to use and can be set up in less than 3 minutes. Just add tap water to MYSTO filling it up to the “max fill line,” plug one end of the cord into the diffuser base and the other end into an electrical outlet, and push the power button on. 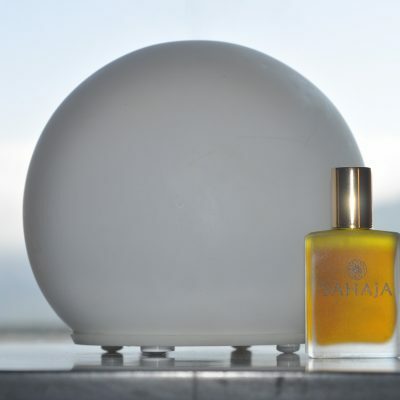 You will immediately create a divinely fragrant environment in any room. 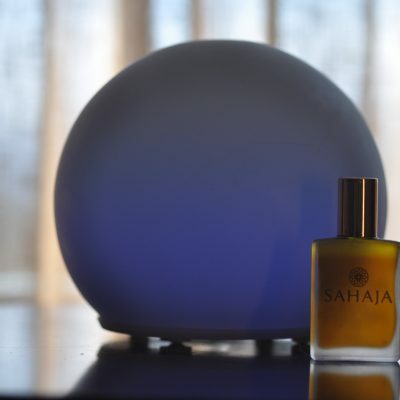 Pair MYSTO with any SAHAJA Diffuser Blend or a blend from the SAHAJA shop and enjoy!